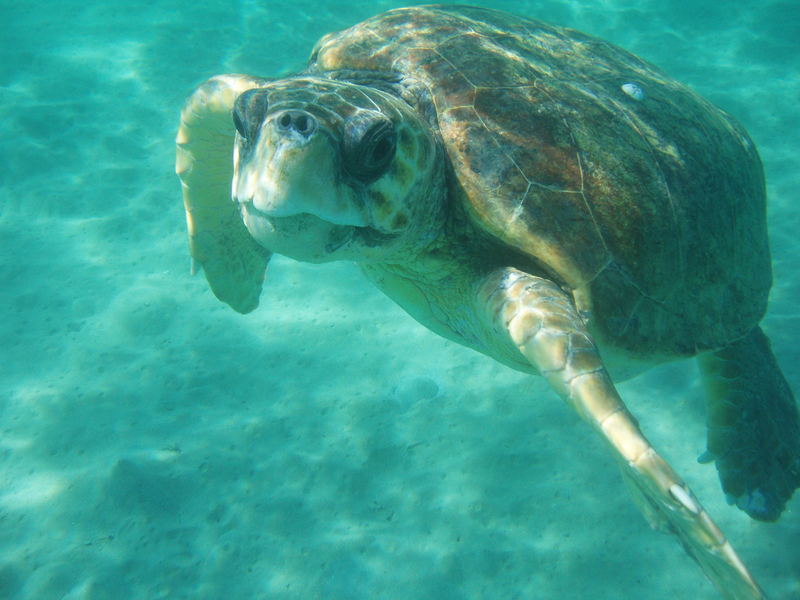 There are two broadly different types of sea turtle. The leatherback is the largest sea turtle growing up to 2 m in total length. They appear to be regular visitors to southern Australia. Leatherbacks have a soft shell (hence the name) and a series of keels that run along the shell from the head to tail. 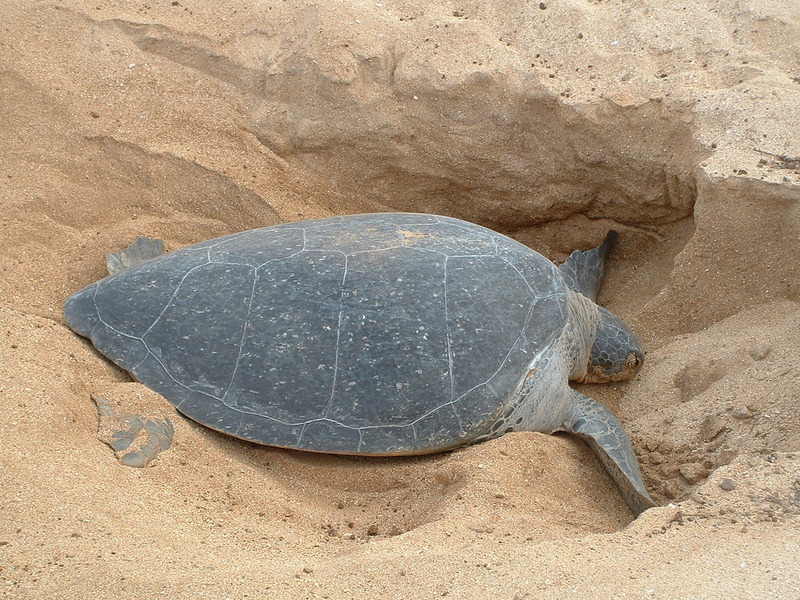 Then there are a number of species of hard-shelled turtles including the loggerhead turtle, the green turtle and the hawksbill turtle. 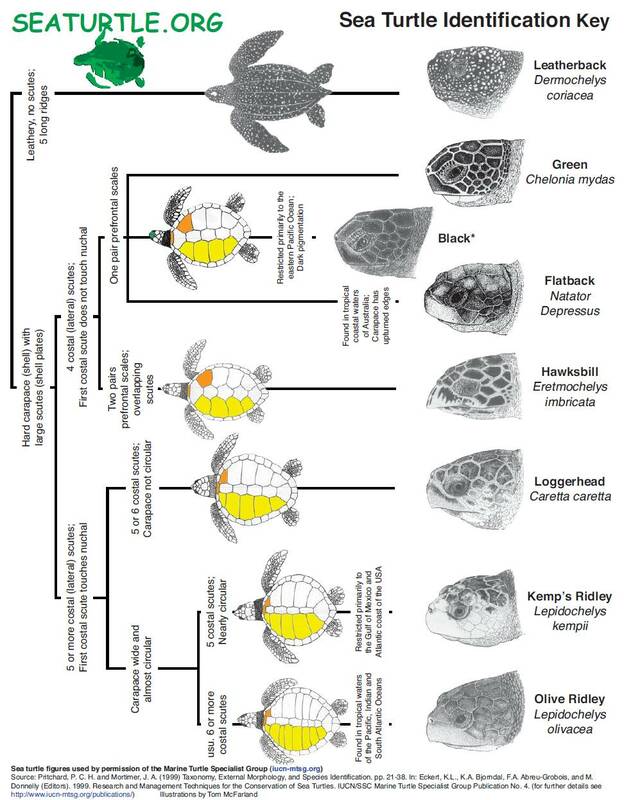 These species can be distinguished by the patterns on plates (scutes) on the shell and the shape of the head. But this identification is not always straightforward, so it is always worth taking a photo of the head and shell so that identification can be confirmed later.